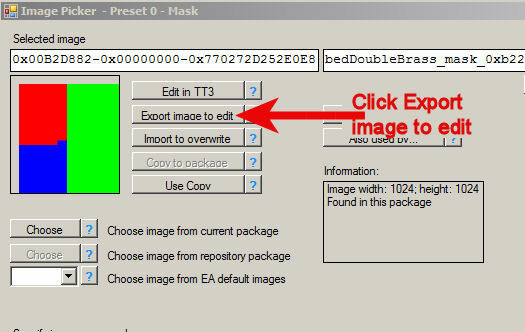 This tutorial will show you how to upgrade an EA object clone using Texture Tweaker 3 so that it has 4 channels and it will show you how to prepare your object's Mask so that all 4 channels are used in the game. If you have questions regarding this tutorial please ask them in the thread below. 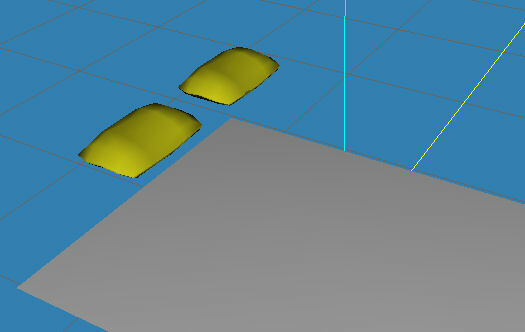 1. the same tools needed for the above tutorials. 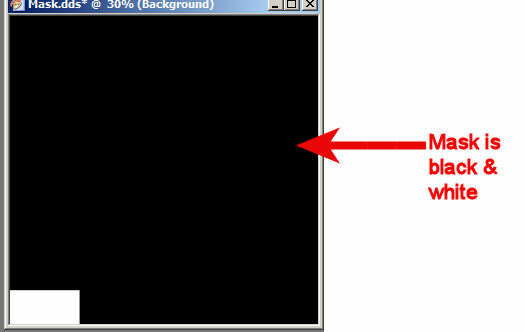 2. a 2D Image Editor capable of making alpha channels. I use Paint.NET for this although Gimp is another free editor that is capable of making alpha channels. 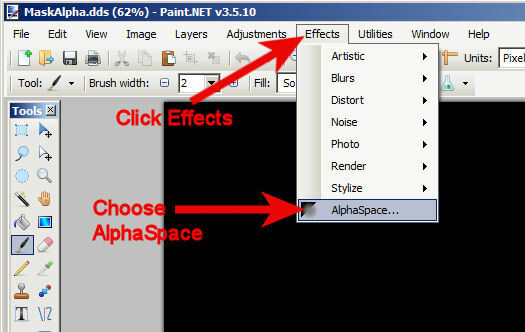 You will need to place the content of that download (AlphaSpace.dll) into the Effects folder inside your Paint.NET folder. NOTE: Before you ask questions regarding this tutorial please make sure that you have the most current version of Texture Tweaker 3. Older versions of this tool are not supported in this tutorial thread. 3. Open Texture Tweaker 3. Click File in the upper left corner. Choose Open from the dropdown menu. 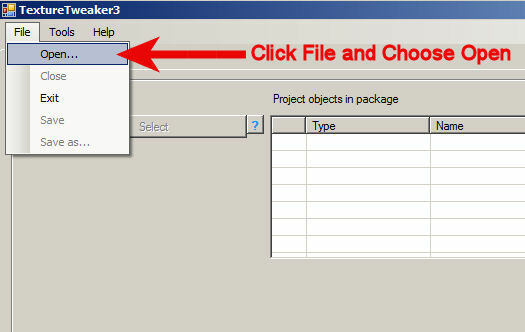 Navigate to your .package and select it. 4. 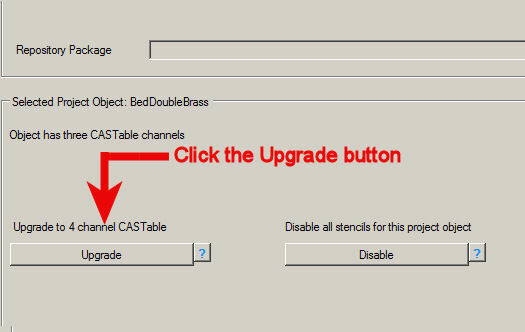 Click the Upgrade button that is just beneath the words Upgrade to 4 channel CASTable. 5. 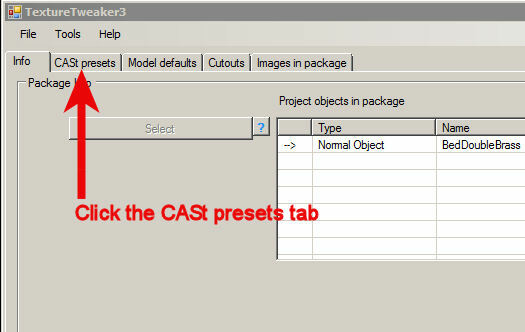 Click the CASt presets tab and the screen will change showing you small pictures of each image in your .package. 6. 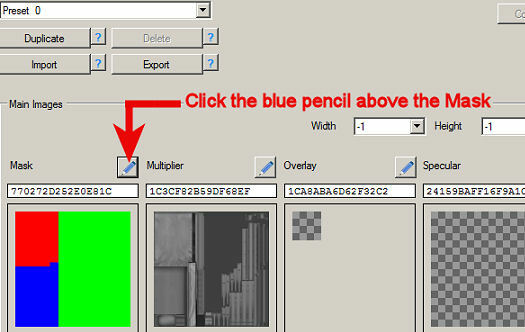 Click the blue pencil located just above the Mask image. Save. 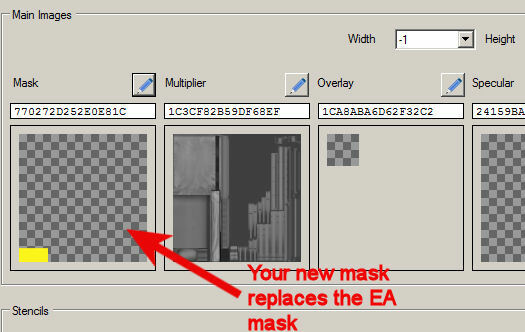 The click OK in the Image Picker box and minimize Texture Tweaker 3.
alpha channel in this area of the Mask so that in the game they will be separately recolorable from the sheets. or blue. I have chosen yellow. Save this as DXT5. pillows turns black. 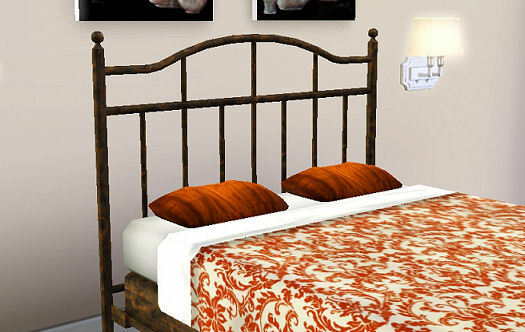 The pillows should turn white. middle. Choose AlphaSpace from the dropdown menu. 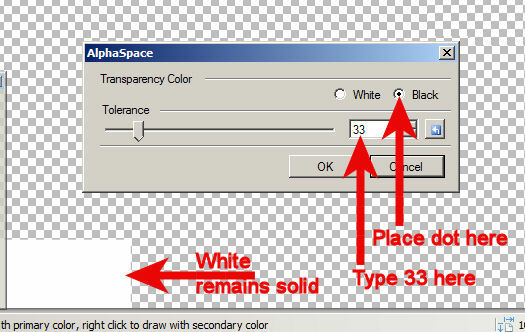 black parts of your image become clear and only the white part remains solid. 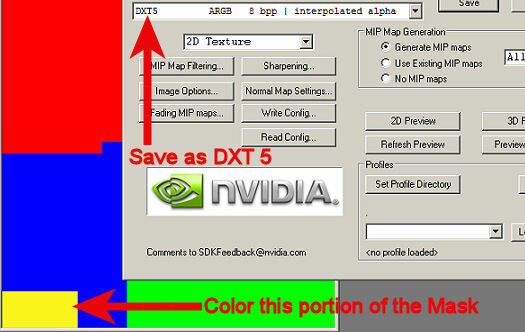 Click OK and save this as DXT 5.
paste it on the MaskAlpha.dds. 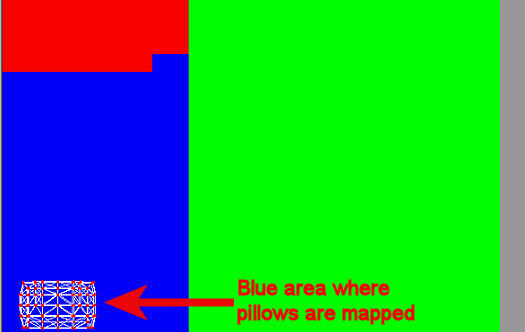 Save the MaskAlpha.dds as DXT 5.
become invisible and the pillows should turn yellow. checkerboard with a yellow area in the bottom left corner. Click File and choose Save. the 4 patterns (Pattern A-Pattern D). Click Commit. pencil next to the Pattern D area in the lower right corner. 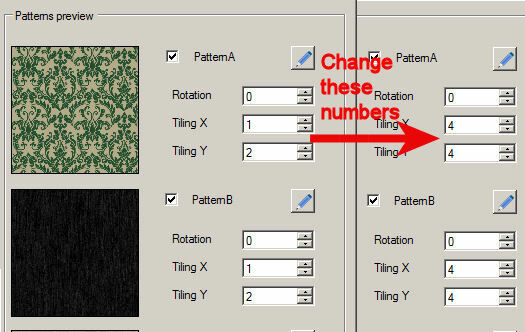 Select Pick pattern and select the pattern you would like to use. Click Commit. 19. Now click Save. 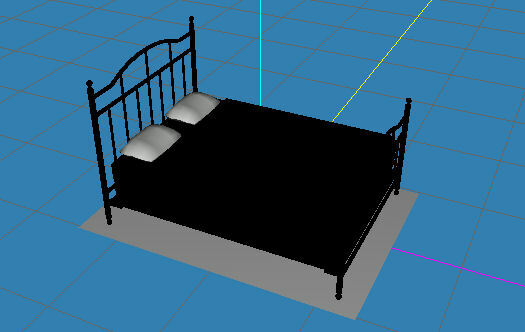 Your new bed has now been changed to a bed with 4 recolorable channels and is ready to test in the game.